A revolution burns in the hearts of those who live in Roswell City. Help them break free, or die trying. A 10 mission story, that spans Romeros entire character arc. It starts and ends here! No Sequel baiting. An expanded and mind blowing Roswell City, with some missions taking you back to areas from "Freedom"
No load screens. A seamless open world romp. Romero has a tale. Go into the past and re live events leading up to the first game, during the second game, and beyond. Ready to be expanded. Old maps are loaded into the code of this game, and ready to be boosted to F2 levels. All for free! Full mod support. The files i used to compile the final game? You can have them. Mod files come with every copy of the game. Use 001 game creator to open them and change the game to your liking. Its one step beyond cheat codes. Its FREEDOM. Run using Intel Core 2 Duo, AMD FX 6300, Intel Core i5, AMD FX 8350, and Intel Core 2 Quad. This game may require Greater than 1GB of space on your hard drive. Future expansions will be free, but will require a fresh install deleting your old save games. If you wish to keep your old files, install the expansions separately from your main game. This game may use up more than 2GBs of RAM with future expansions, due to the way the game loads everything in on boot, this may cause system crashes. Monitor your ram use when running expansions. To avoid this, make sure you have a page file for any overflow. Mods you make for this game MUST link to this profile. If they do not, they will be taken down by a site admin at my request if not fixed and linked here. User made content may be added into official DLC later on down the road. You will be credited in game, on the download page, and in the READ ME. Yes im back. And im looking at Freedom 2, as the next release. Its been a year or so since i started this. I think its about time it gets done. Like Freedom, i come back and push till its done. Guess its that time. If you were hoping for DF 2 you may have to wait a bit. Freedom 2 is first in line. Hopefully our first game of 2011, would be a great start to a new game making year! Well comment if you wish, but were back, Weekly updates till it is released as well. Plus look for an achievement list coming soon! Would you like to see Dark Fusion carried on first. Or do you guys want my focus back on Freedom 2? A full list, and explanation. All is good on the achievement front today, as almost 7 achievements were added to Neer. In a shocking new twist. Freedom 3 has been confirmed to be in side development. After about a month of no activity... Im back and working full speed to bring you this game! Explore the City (so far) and leave feedback. This is YOUR open world game. Be a part of its creation. And get your name in the credits. "And to properly answer your question, This year for sure"
When will we be seeing a full release? And to properly answer your question, This year for sure. Well why dont we start a vote. Freedom 2- Neer Open Beta- May 24 long weekend. Free to download. But only for the long weekend, and then it is gone! 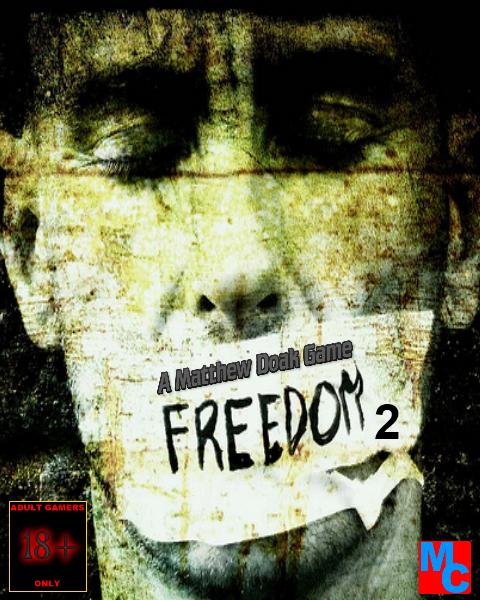 Freedom 1 was here but taken down due to copyright issues with songs, this one should be fine. The menu song i have permission to use, so. Its all good right now.